Leading Manufacturer of wooden lcd tv unit, plasma tv cabinet, lcd tv cabinets, lcd tv units, modern lcd tv unit and bed room lcd unit from Noida. 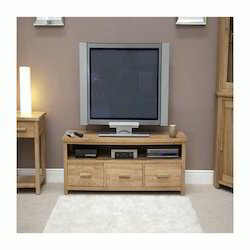 TV Size 32" to 60 "
We are the leading manufacturers of Wooden LCD TV Unit. TV Size 32" to 60"
We are a highly acclaimed name to offer supreme quality Plasma TV Cabinet that is manufactured using high-grade raw materials sourced from the trusted vendors. 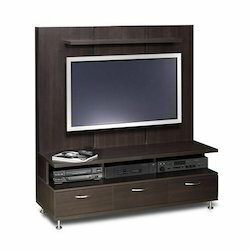 Attributing to its attractive design and durability, the whole range of the TV cabinets offered by us is widely considered among our client-base spread around the globe. This offered cabinet is further known for its fine finish. To meet the rising demands of our customers, we offer a qualitative assortment of LCD TV Cabinets, which has fetched high demands in the market. Easy to mount, these are widely acknowledged among our customers. 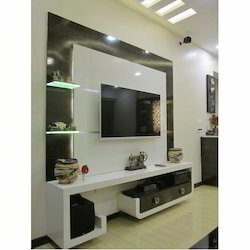 Owing to their powder coated finish, long lasting life and exquisite design, the entire range of the LCD TV units offered by us is immensely appreciated among our clients. 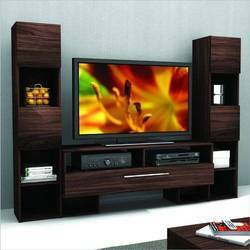 We are the leading manufacturers & suppliers of LCD TV Units. We are counted amongst one of the leading names engaged in manufacturing and supplying a quality approved collection of Modern LCD TV Unit. These are manufactured in line with the requirements by our creative and innovative personnel. Additionally, their flawless finish and superb designs make these highly recommended amongst our customers. We specialize in the manufacturing and exporting of best quality Bed Room LCD Unit that is manufactured under the stringent supervision of the experts. Durable in its characteristics, the offered product is widely considered among our valued patrons. Known for its attractive design and perfect finish, the whole range of the LCD units offered by us is widely praised in the market. 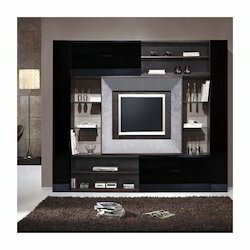 Looking for LCD TV Units ?